Tour starts and ends in El Paso, Texas. Roads are a mix of paved and unpaved with varying degrees of off-road challenge. 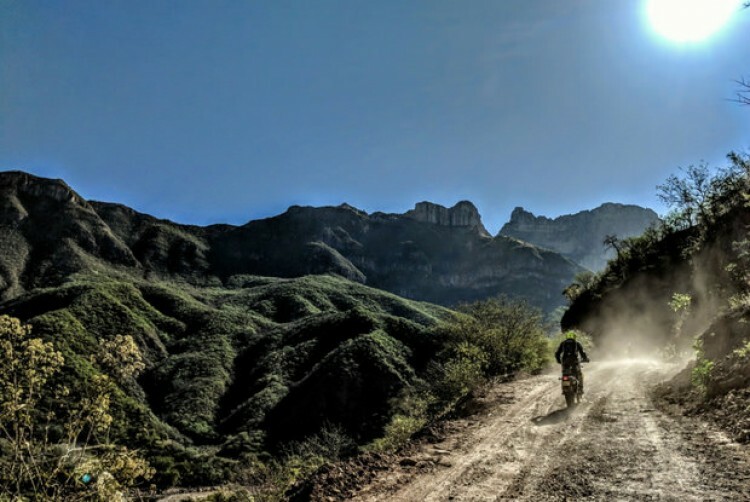 The Copper Canyon Expedition is largely on paved roads, necessary to reach the heartland of the canyon complex and the best off-road riding in the Americas. For this reason, we suggest the minimum displacement be 400 ccs. Large adventure motorcycles demand skills and physicality in line with the weight and performance of the bike. Tires should at minimum be 50/50 (on and off road). One should have at least some prior off-road experience and physicality. This is more than just a ride. Expect to learn of, and gain a deep appreciation for, the natural wonder of the region as well as the history and culture of its inhabitants. We encourage participating in one of the MotoDiscovery Adventure Rider Training Tours to tune your skills. You are also encouraged to call MotoDiscovery for consultation to determine if this is the right ride for you. This tour makes a superb platform for MotoDiscovery to design your own private custom riding event. Go to our Custom Tour Questionnaire today and let us build the perfect tour for you and your friends. 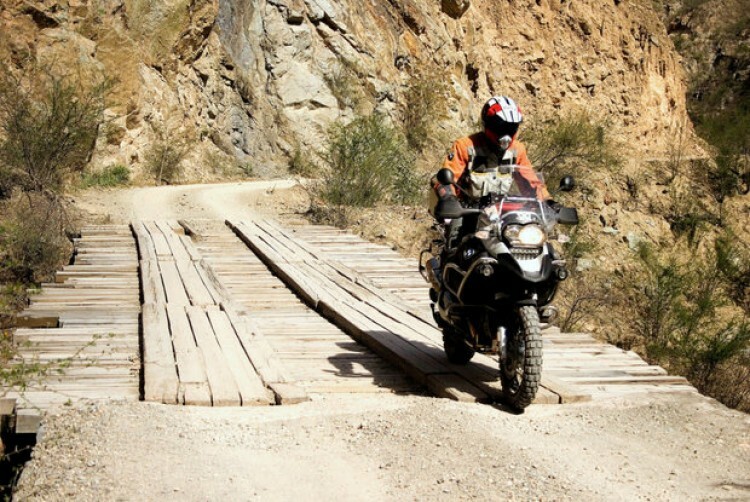 MotoDiscovery is the expert when it comes to the Copper Canyon. Our travels through this region date back over three decades. We know the land, its people, the history and its challenges. It is a magnificent motorcycle adventure but has to be taken seriously. Smaller groups mean more flexibility and better service. The Copper Canyon Expedition is limited to eight bikes plus staff. Nuevo Casas Grandes in the Chihuahua desert is actually a large Mormon community as well as an area once dominated by the pre-Colombian Paquime civilization. We’ll visit Paquime ruins. 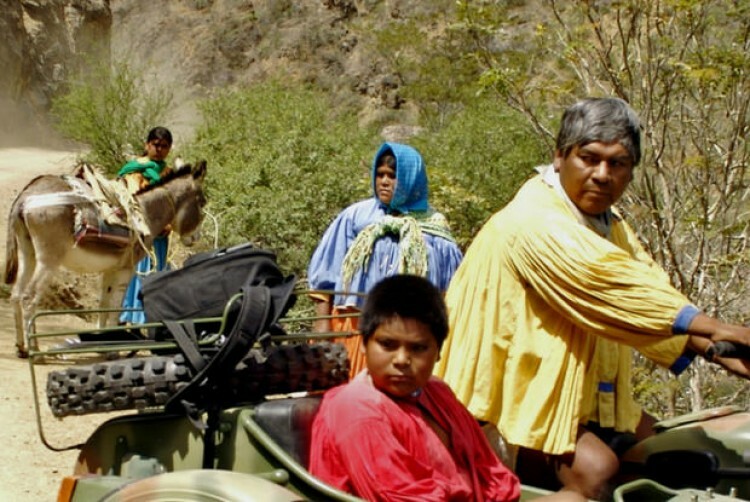 The primitive Tarahumara Indians, many living in caves and still attired in loin cloth and blouses designed by the first Spanish conquistadors, are fascinating inhabitants of this area of the Sierra Madres. Batopilas. For many years it was a challenging descent into a chaparral canyon to this old mining village dating back to the 17th century. Today it is nearly paved all the way however it is as stunning a ride as ever. We just don’t get as dirty! The Copper Canyon region is actually now designated as a National Park. The European designed and built teleférico provides a stunning view of the canyon region and for those who dare, a heart pounding zip line flight you will never forget. The support. The Copper Canyon is unforgiving and remote. You can ride relaxed knowing MotoDiscovery experts have your back. The roads. For today’s adventure touring enthusiast the roads of the Sierra Madres have it all. River crossings, canyon descents and ascents, fantastic sporting paved mountain curves and just the kind of challenge that we all long for. What is the best bike for this ride? That is a personal decision. From the Suzuki DRZ400S to mega machines such as the BMW R1200 GSA, we have seen it all in the Copper Canyon. The most important thing is that if you have a larger bike, please have the skills, experience, and physical dexterity to match. We have a selection of rental motorcycles that are expedition-ready and well suited for the Copper Canyon - contact us for more information. We have a saying…” one man’s fun ride is another’s white-knuckled terror”. What we mean is that it is impossible to answer this question without knowing your background, riding experience and some hint of your skill level. Call us. This is important and we want you to make the right decision. In the off-road touring environment, one should expect varying degrees of challenge and road surfaces. For the experienced off-road touring enthusiast, it should be fine. 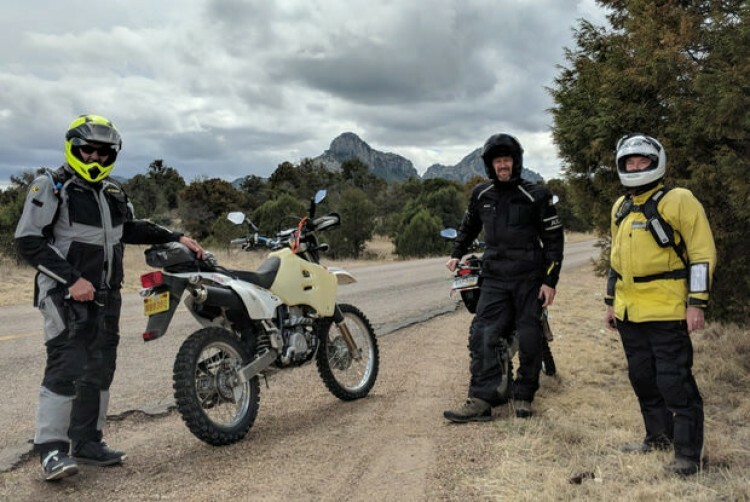 But if you are new to the world of adventure touring and you happen to have a large motorcycle, we urge you to participate in one of our MotoDiscovery Adventure Rider Training Tours, where our motto is 'Skill fuels confidence'. 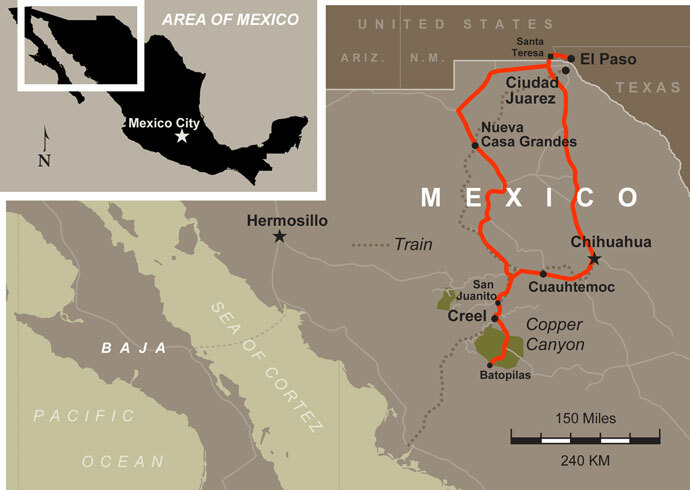 Drug cartels have long fought over territory and critical smuggling routes. Illegal drugs are big business. 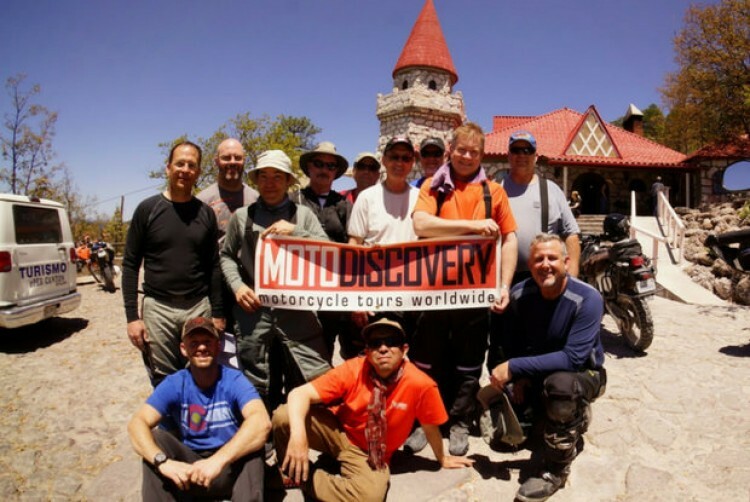 There was a period MotoDiscovery ceased running tours in areas we were not comfortable traveling. 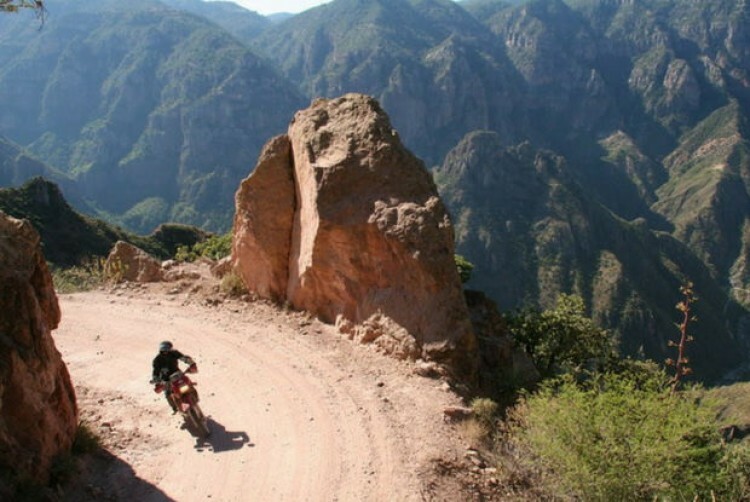 During that time we continued to ride in the Copper Canyon as we judged it safe enough. And today, even those areas where for a while we chose to not go, we’re returning as the security situation has vastly improved. Still, there are risks. But more than 21 million travelers visit Mexico each year and that should mean something. While the mobsters continue to engage in their turf wars, these conflicts are largely among themselves and they know well that to bother outsiders and tourists are bad for business. The question of security is something we constantly evaluate. We’ll be the first to pull out if we feel the risks are too great. What am I allowed to bring into Mexico? When crossing by land, you are allowed to take your personal belongings and $75 worth of merchandise, duty-free. People over the age of 18 may bring three liters of liquor or beer and up to six liters of wine. No camping. With the exception of one, maybe two nights, you can count on great accommodations. The downside of adventuring off the tourist trail is that tourism infrastructure sometimes is lacking...in other words...perfect! It is an overblown assumption that if you travel to Mexico you will suffer Montezuma’s Revenge. Today's health standards are vastly improved. If you are a “meat and potato” kind of person who rarely varies their diet then you may be more susceptible. We share with you in our info packets some great tips to help head off these kinds of issues. Eat and drink what you want. Relax. Tell me about your rental motorcycles? 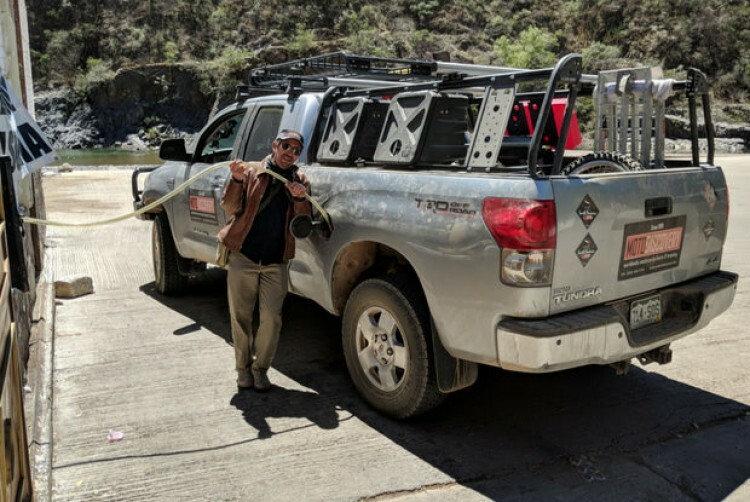 We have fresh Honda Africa Twin CRF1000Ls, Suzuki DRZ400S and Honda CRF250L rental motorcycles that work very well for touring the Copper Canyon. Tank, tail and pannier bags are available upon request. The rental fee includes rental days for the duration of the event, border crossing paperwork, and mandatory Mexico Auto insurance. *For the Honda Africa Twin, there is a $15 per day insurance charge that must be paid for by the renter at checkout in El Paso. This will only apply to the days riding in the USA (first and last riding day of trip) - so this fee amounts to $30 per Africa Twin rental. *Lowered suspension and seats may be available upon advanced request. And what about tires, gear, money needs, etc? We’ll address this and much more in our pre-tour information packets. Is this a good two-up ride? We say that most of this ride would be fine for two up riding. This may not be the best tour to introduce your passenger to the world of adventure touring. If your mate is adventurous and spirited she/he should do fine. Those sections of the road where the ride gets a little too intense, your passenger is welcomed to get in the support vehicle. And non-riding participants may join us with advance notice and depend on space available in the support vehicle. So you have a chase vehicle? Yes, usually a 4X4 pickup capable of hauling excess luggage and loading up at least one motorcycle. Do you provide any GPS data for navigation? We almost always have at minimum waypoints to your destination and hotel. You are encouraged to have a GPS but it is not mandatory. Maps will be provided. 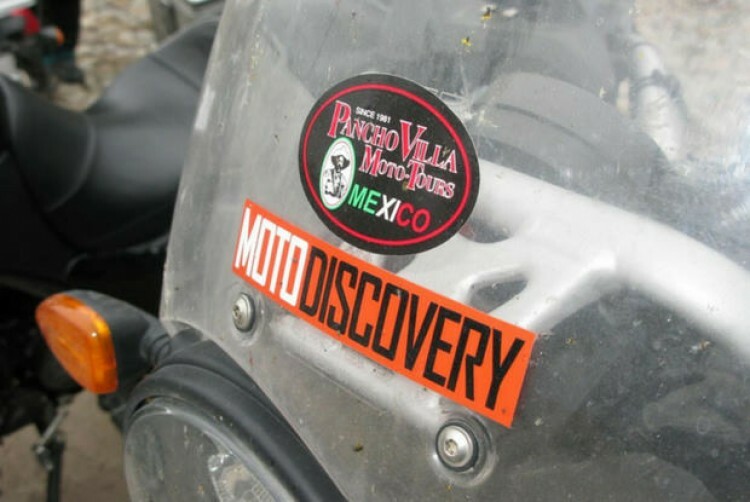 To optimize safety and service, Motodiscovery Copper Canyon Expeditions are limited to eight riders plus staff. Exceptions to this are clubs or private groups who are free to decide the tour size. Can you organize a special ride for me and my friends? When I finally made the decision to spend the money on a tour like this I had no idea that those dreams would be fulfilled. Worth every penny! The guides, lodging, food, roads and the new friends made were fantastic! I came home with a new understanding of what the adventure riding world has to offer and much more confidence in my riding ability. MotoDiscovery, job well done.